I decided it was time for a new heart rate monitor. 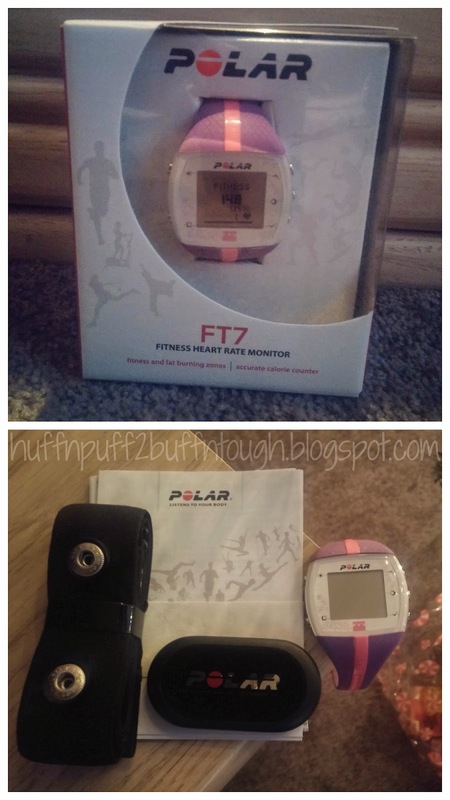 I replaced my old heart rate monitor, Scosche myTREK Wireless Pulse Monitor with the Polar FT7 Heart Rate Monitor. I used the Scosche monitor for about a year and I really liked it, but it definitely had it's cons... I didn't like the fact that it was an armband, I couldn't swim with it, and I had to use a phone app with it (Digifit iCardio), which I ended up loving though. 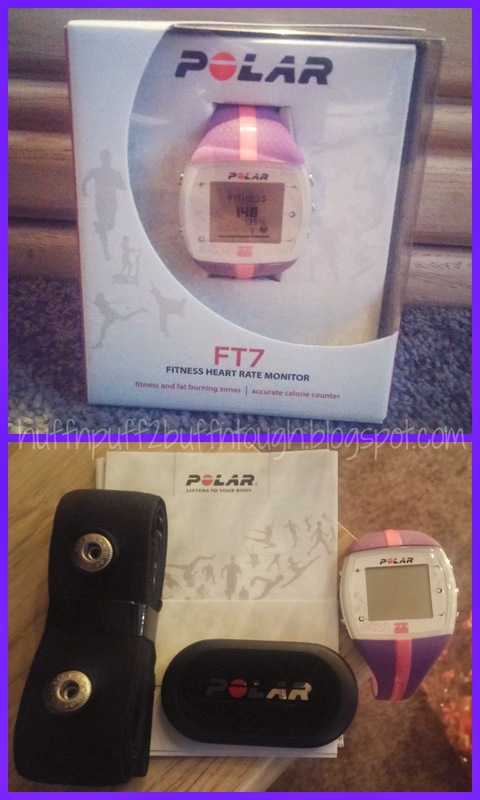 I had been eyeing a Polar HRM for a few years and finally was able to get one! So far what I am liking about the Polar FT7.... I can get it wet (water resistant up to 30m), I can look at my watch for info during a workout rather than having to look at a phone app to get my information, I like the comfortable chest strap and it's way better than wearing an armband in my opinion. I am not liking the way the watch gives me information about my fat burn and fitness heart rate zones. It's not as detailed as I would like it to be as in where you are within zones during a workout. I would LOVE to use this watch with the Digitfit iCardio app! I love how detailed it was during a workout when I used it with the Scosche and it told me when I was switching zones and what zone I was in. I did find out that I can use the app with my Polar HRM. Which was good news! However, the current chest strap I have that came with the FT7 is not compatible with the app because it's not bluetooth. I would have to purchase the H7 bluetooth chest strap. To make this watch more enjoyable I feel like I am forced to buy it to make this product better and more to my liking, which I am not too fond of at the moment, but will do it if need be. I am also not liking the fact that I lose connection with the watch during workouts where I am not sweating like crazy to keep the strap moist. To fix that problem I use electrode gel to moisten the band before a workout. I usually have no issues with the connection when using the gel. A little gel goes a long way so the 8.5 oz tube should last awhile. Overall, for what I can afford, it's a nice product that I can definitely get my money's worth out of until I upgrade again. 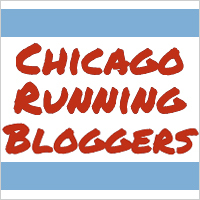 I originally wanted the M400 HRM GPS, but that is not within my budget at the moment especially with a new baby. Maybe next Christmas!! !